While 2018 will bring new handsets from Samsung, Apple, and Google, one of best value-for-money devices is likely to be the OnePlus 6. Now, the company has confirmed that the top variant of its flagship handset will come with 8GB of RAM and 256GB of internal storage. In post called “Our Pursuit of Burdenless Speed,” OnePlus CEO Pete Lau confirmed some of the OnePlus 6’s internals, including the Snapdragon 845 processor. As the title suggests, Lau is exalting the handset’s quickness and reliability. “Fast is not just about shorter loading times or top download speeds, any OEM can achieve high numbers in one or two metrics. Fast is about creating a lasting impression of speed and smoothness, throughout all-day use, whether you’re recording 4K video or browsing Facebook,” he writes. Lau adds that OnePlus’ Team FSE (Fast, Stable, Efficient) is in place solely to improve the performance of its phones. He claims that playing PUBG mobile is one of the areas where the OnePlus 6 will excel. Despite being excellent handsets, OnePlus’ devices have long been cheaper than flagships from the likes of Samsung and Apple. 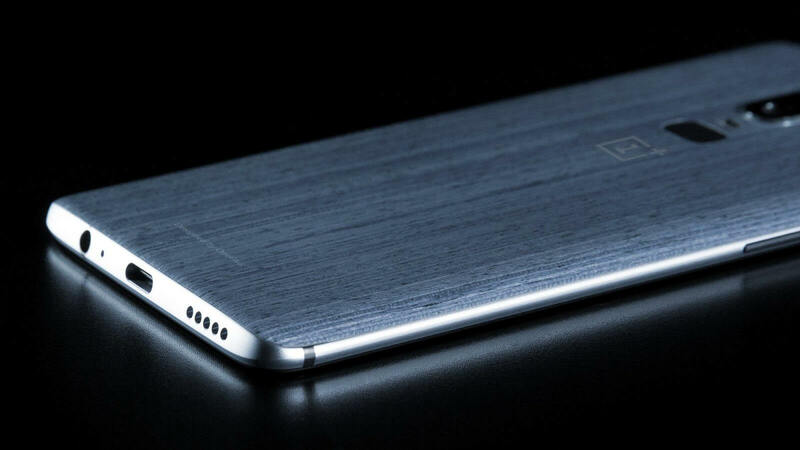 But the top variant of the OnePlus 6 is expected to be the firm’s most expensive phone to date, coming in at $749—the 128GB version of the OnePlus 5T is currently priced at $559. That’s still cheaper than many rivals, whose devices, which usually have less storage and RAM, cost a lot more. Much to the chagrin of many Android fans, last week brought confirmation that the OnePlus 6 will feature an iPhone X-style notch. However, a recent post by Lau reveals that a future software update will allow users to blackout the screen around the sides of the notch, thereby hiding the cutout. Moreover, it appears that the back of the phone may be made from glass—or perhaps even wood—suggesting wireless charging. It’s also said to feature a full-HD (2160x1080) Optic AMOLED display. OnePlus said its next flagship would arrive before the end of June, though it's likely to be here sooner rather than later.